Ultimatum is upon us! Big changes are afoot and with them comes the much anticipated return of Ultimate Spider-Woman! But is she friend or foe? Plus, Aunt May is under arrest, Spider-Man is underwater, and the world has gone to hell. Spidey and the gang will never be the same! Guest- starring the Human Torch and Kitty Pryde! Plus, watch as Peter and Mary Jane's relationship delves into an area never before seen in any Spider-Man comic! 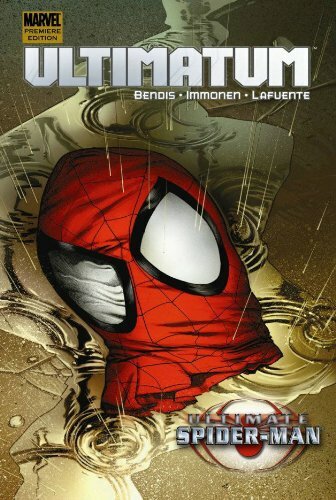 Collects Ultimate Spider-Man #129-133, and Annual #3.